While surgical options like facelifts can produce excellent results for treating lines and lack of facial volume, not everyone is a candidate for surgery. Some also feel that their cosmetic concerns aren’t advanced enough to warrant a surgical procedure. Dermal fillers provide an ideal solution for men and women seeking non-surgical facial rejuvenation. These convenient and effective injectables deliver long-lasting results without the need for surgery, heavy anesthetics, or a lengthy recovery period. They can be used for a variety of cosmetic purposes, including smoothing away fine lines and wrinkles, enhancing the lips, augmenting facial features, and restoring fullness to areas of the face that have lost volume. 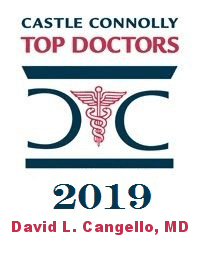 Board-certified plastic surgeon Dr. David Cangello administers all injectables himself, allowing patients to achieve results that blend seamlessly with their features. Contact Us today at (212) 644-4416 to schedule your consultation for dermal fillers in NYC. 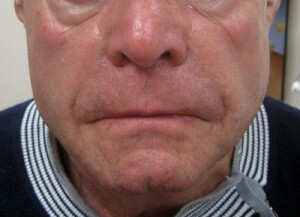 Subcutaneous facial fat atrophies over time, which leads to a loss of volume. Collagen and skin elasticity also decline, contributing to fine lines and wrinkles. Together, these age-related changes create a gaunt appearance and cause the skin to lose its youthful texture. As the name suggests, dermal fillers counteract this by filling in wrinkles and replenishing volume in areas of the face that have lost fullness. Most fillers are made from hyaluronic acid (“HA”), which is a naturally occurring substance found in the body that helps the skin retain moisture. These types are essential “space-occupying” fillers that fill up space that was once filled with fat. Other fillers work by stimulating collagen production, which in turn increases volume. 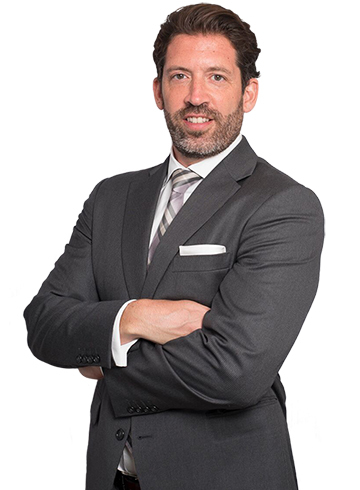 As a board-certified plastic surgeon, Dr. Cangello has a thorough understanding of facial anatomy, from the surface of the skin to the underlying structures. He combines this knowledge with an artistic approach when performing facial fillers, allowing a nuanced and customized application. This is key for producing natural-looking results. The value of having a board-certified plastic surgeon administer your injectables is immense. Dr. Cangello has extensive experience with all facial injectables, and he helps patients explore which particular filler (or combination of products) would best meet their cosmetic goals. Although injectables such as dermal fillers and Botox® are minimally invasive and take only minutes to perform, they still require a great deal of skill and experience to administer. This is why Dr. Cangello conducts all injectables himself, allowing patients to have the highest quality of cosmetic care. Restylane® is an HA filler, so it is a space-occupying filler and does not stimulate collagen production. In general, its effects last around six months. In specific areas (such as the under-eye hollows) it can last up to nine months or a year. It is a highly versatile filler and can be used in the lips, temples, nasolabial folds, marionette lines, cheeks, and more. The Restylane® line of fillers also includes Restylane® Lyft (formerly known as Perlane®) and Restylane® Silk. Restylane® Lyft is frequently used by Dr. Cangello in the cheeks and nasolabial folds. At this time, Dr. Cangello only selectively uses Restylane® Silk. Juvéderm® is also an HA filler and does not stimulate collagen production. Most of its properties are very similar to Restylane®, and it lasts around six to nine months. It can be used in the same areas as Restylane® with the one exception of the lower eyelids, where Dr. Cangello prefers to use Restylane®. Voluma is an HA filler made by Allergan, the same manufacturer as Juvéderm® and it is a more highly crosslinked version. Because of this, it lasts longer than Juvéderm® (around 12 to 18 months). It is FDA approved for the cheekbone area and this is primarily where Dr. Cangello uses it. He may also use it to create skeletal augmentation for regions such as the jaw or chin. Belotero is HA filler with much less viscosity as compared to the above-mentioned fillers. It is best used for filling stubborn wrinkles that are not adequately treated with Botox®. It also works well in the under-eye area. Radiesse® is not an HA filler; it is made from Calcium Hydroxyapatite. It dissolves in the first few weeks following injection. However, it has a volumizing effect through the localized stimulation of collagen production. This is a versatile filler and Dr. Cangello uses throughout the face, as well as for rejuvenation of the back of the hands. In fact, Dr. Cangello is one of a few physicians in the country who participated in the study conducted by Merz Aesthetics (the manufacturer of Radiesse®) to gain FDA approval for its use in hand rejuvenation. In the face, it often lasts around nine months, and in the back of the hands, it can last around one year. Sculptra® is made from poly-L-lactic acid, which is the same material found in absorbable sutures (stitches). Like Radiesse®, it increases volume by stimulating collagen production. For best results, two to three treatments about four weeks apart are usually required. Dr. Cangello most frequently uses Sculptra® in the cheek area. It cannot be reversed or dissolved. 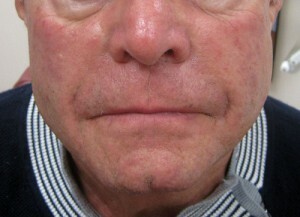 For patients who are seeking a permanent solution, fat grafting (“fat transfer”) is an excellent option. During this procedure, fat is taken from a donor area (such as the abdomen or inner thighs) and is transferred or grafted to areas of the face where filler would be used. It is incredibly versatile and can be used in almost any area of the face. A facial fat transfer is permanent because the fat is actually “grafted,” which means the fat cells establish a new blood supply and indefinitely live in the area they are transferred to. Dr. Cangello was trained by and worked extensively with Dr. Sydney Coleman, one of the pioneers of the fat grafting method. This invaluable experience allowed him to develop techniques that produce long-lasting and natural-looking results. Is There Downtime After Dermal Fillers? Dermal fillers require minimal downtime. It’s common for patients to experience mild bruising, swelling, or redness after their treatment, but these temporary symptoms quickly subside. Patients can immediately resume their regular activities. Can I Have Botox® At the Same Time as My Fillers? Yes, absolutely. Botox® is a versatile injectable that is excellent at treating movement-related wrinkles, such as crow’s feet and furrows between the eyebrows. For optimal rejuvenation, many patients choose to have both Botox® and dermal fillers performed at the same time. Can Filler Be Used for a Non-Surgical Nose Job? Yes. While filler cannot replace the effects of surgical rhinoplasty, Dr. Cangello frequently uses filler to treat minor cosmetic irregularities of the nose. It can be used to reduce the appearance of a dorsal bump, and it can also be injected into a drooping nasal tip to provide subtle lift.